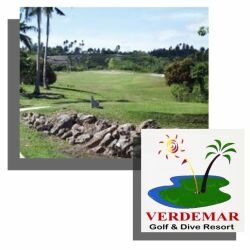 Casa Del Mar Golf & Dive Hotel and Verdemar Golf Club are Cebu's newest and most exciting dive resort and golf club. 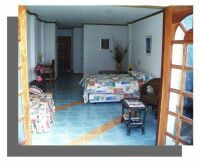 The property is located in San Remigio, just 99 minutes north of the city. Here you will find a great Spanish style resort hotel built on a wonderful white sand beach. All our suites are equipped with individually controlled air-conditioning for your comfort. Beautifully finished with Italian tile floors and plush fittings and decor. Plus each suite has wonderful sea views allowing you to watch the sunrise and set over the clear waters of our beach. With hot and cold water, standby generator, phone contact with reception, room service and all the other frills of a fine resort you will find it hard, not to want to stay an extra day or two. Our 250 meter long natural white sandy beach is just the place to spend a few fun hours playing in the sun or taking a relaxing swim. At night take a romantic cocktail with you special person, or just enjoy the simple pleasure brought about by the resort's tranquil ambiance. 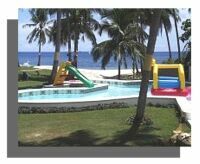 Children will also have great fun in the sand or playing in the playground. With deck chairs around it is easy for the parents to watch their kids as they play in safety. Or put together a group and lets play some water sport games to pass some time on a sunny afternoon. The Sunset Cafe is our main restaurant where you can enjoy an array of real Italian pasta dishes, French crepes, Mexican tacos, Swiss cheese raclette and gourmet sandwiches. 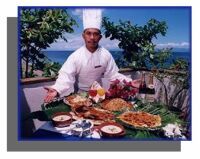 For those that like the Filipino favorites we have a huge selection to meet all tastes. All accompanied by your choice of fresh fruit shake or juice, cold beer or a glass of excellent wine. With all the latest equipment and fully trained staff the dive center is the place to visit if you are looking for real safe adventure while exploring the crystal clear water of this area. For more on diving go to the DIVING site. Why not play a round of golf at our course located alongside the resort. In-house guest you will receive a reduction on you green fee so now is the chance to play a round or two. With fresh Mangos along side the fairways it hard not to stop and snack on one or two during your game. More than a game of Golf, is a healthy experience !